WASHINGTON, March 15, 2018 — President Donald J. Trump’s nominee to serve as the next director of the National Security Agency today promised to defend the nation and secure the future as he testified before lawmakers during his confirmation hearing here. Lt. Gen. Paul M. Nakasone (seen in the above official photo), the commander of U.S. Army Cyber Command, spoke before the Senate Select Committee on Intelligence, which is considering his nomination to succeed retiring Navy Adm. Michael S. Rogers as NSA director. 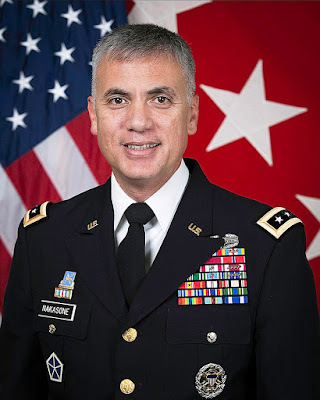 “We have to continue broad abilities to continue to recruit from a very diverse population -- academia, and industry, [and] within inside our government,” Nakasone said, noting he admires the agency’s ability to look at a broad range of capabilities, including people who have disabilities, and to provide the necessary infrastructure that will support them.